The Schlage Delayed Egress Locking System is designed to meet NFPA 101 Life Safety Code, while providing the same robust, easy to install, security of our M400 Series line of electromagnetic locks. 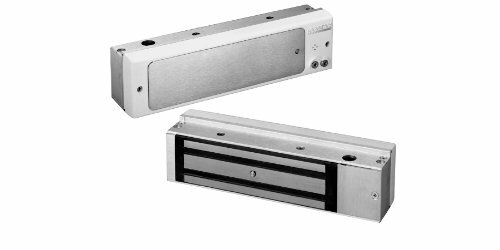 The M490DE delayed egress can be configured to trigger by an internal "plunger switch," or by external contacts, such as an electrified exit bar or request to exit device. This can also be configured to initiate a 15 second delay and audible alarm before unlocking. All M400 Series locks have automatic voltage sensing for 12 and 24 volts along with polarity protection to make wiring less complex. The M490DE is tested and certified to meet or exceed UL 294 and BHMA 1500lb. hold force requirements.